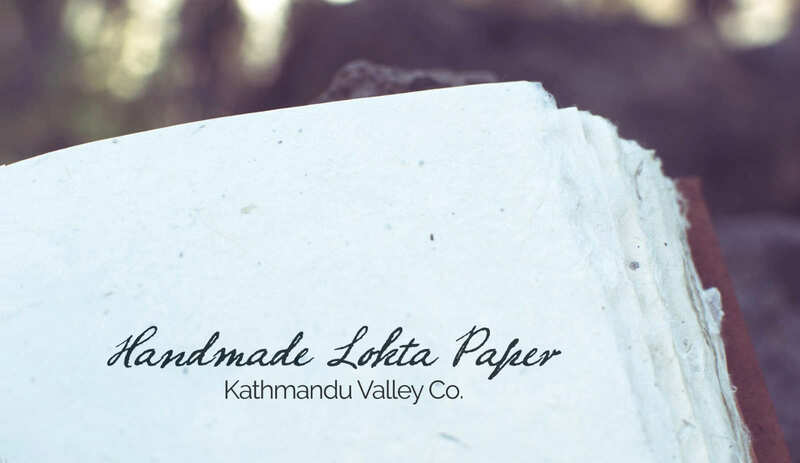 Secrets of Handmade Nepali Lokta Paper by Kathmandu Valley Co.
Handcrafted in the Himalayas and used anciently for sacred texts, Lokta paper has been a staple of Nepalese artisans for centuries. Lokta paper has been produced using similar methods for centuries and that tradition continues today. 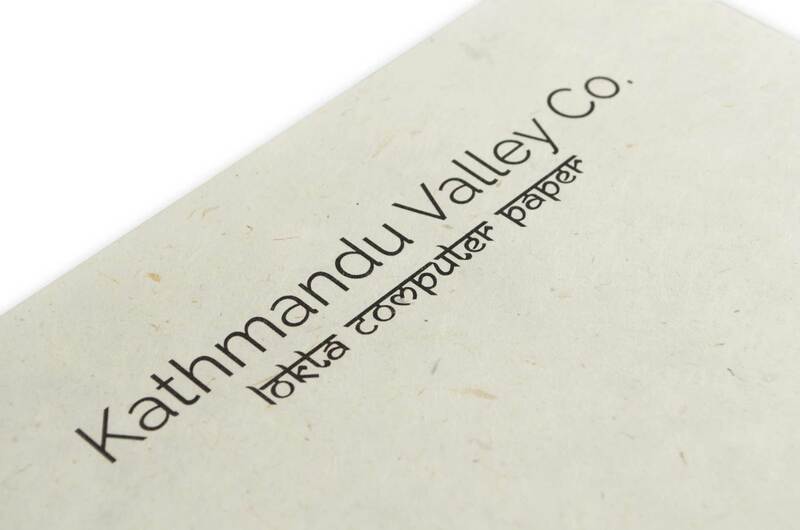 Also called Nepali Paper, Lokta paper is used for many official Nepali government documents. Lokta paper is much more resistant to tearing than modern papers and is resistant to mildew, humidity, and insect damage. 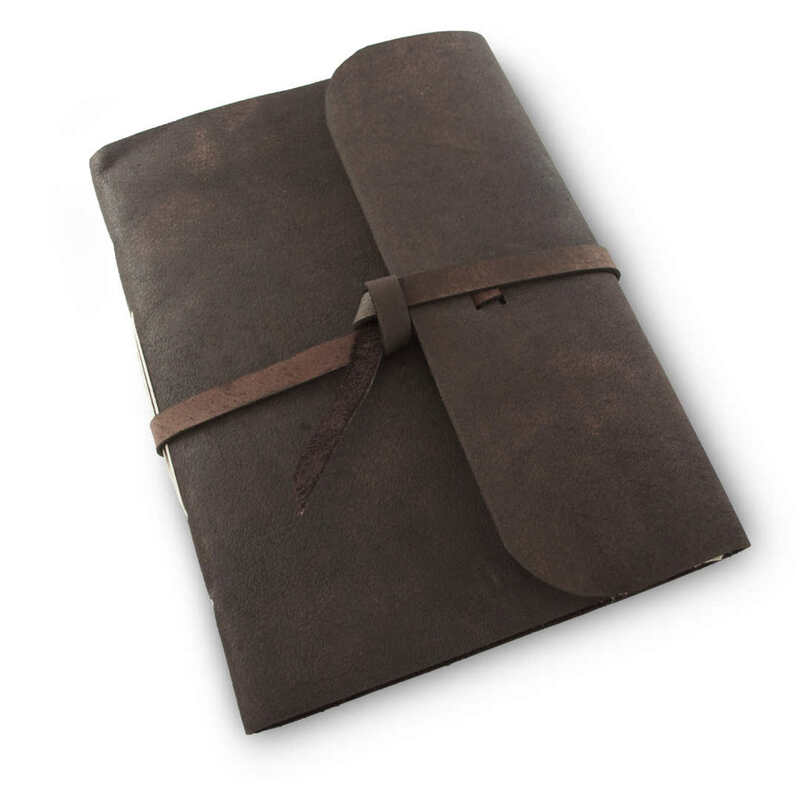 The durability makes it perfect companion for the rugged terrain of Nepal from which the paper comes. Our paper is not treated with harmful chemicals like today’s commercial papers which are treated with bleach. The paper is hand made in the rural, high altitude villages of Nepal and then carried down the Himalayas using the traditional paths and pack animals for transport. Daphne bholua and Daphne papyracea are the botanical names for the lokta bushes most commonly used in paper making. Lokta bushes are not destroyed when harvested. A good cut from a harvested bush can regrow new shoots that can reach full height (nearly 15 feet) in about 5 years. Lokta fibers are cooked in vats to soften and create a pulp that is spread over wood-framed screens and set to dry in the sun. The fine texture from the screens can be seen and felt in the finished product adding to the beauty and uniqueness of the paper. Lokta paper is acid-free and is widely regarded as one of the world’s finest hand-made papers. While others add regular or recycled paper to their production process, our paper is 100% Lokta. 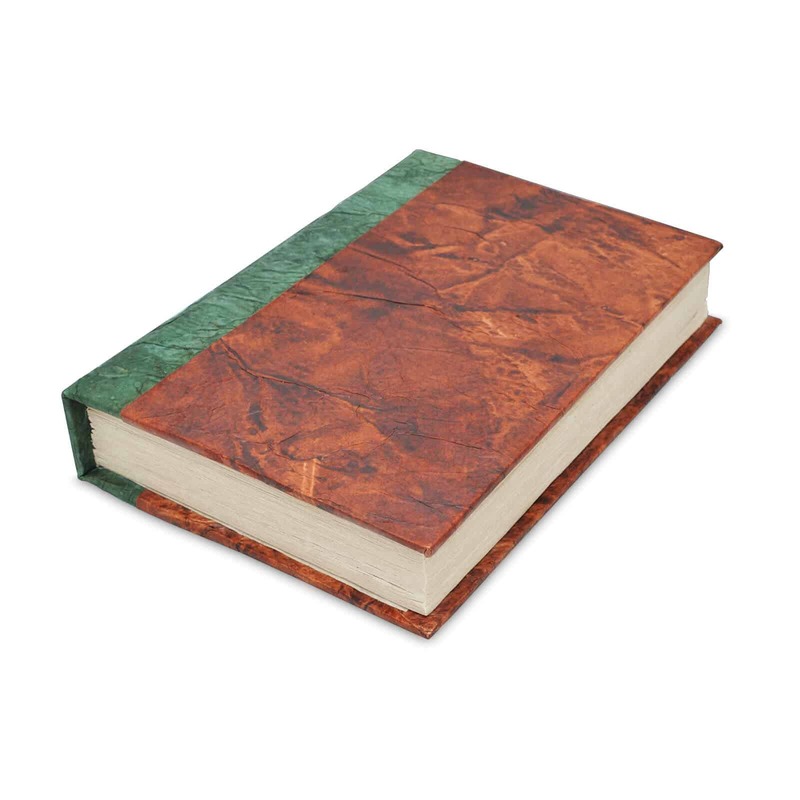 The edges of the paper can be clean-cut with uniform edges much like a regular notebook or book. The paper can also be left with a “deckled edge” (shown below) which gives a much more natural feel to the soft edges of the paper. 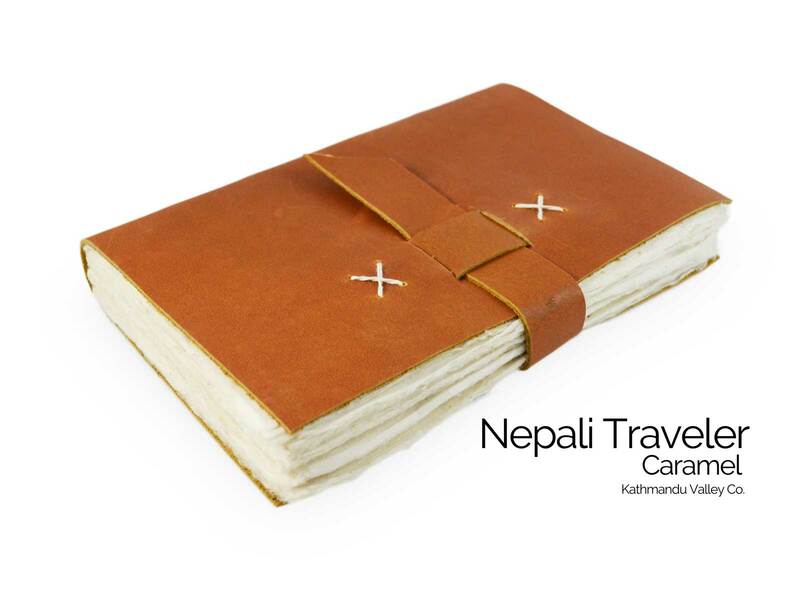 For example, the Nepali Companion Notebooks, Leather Nepali Field Books, and Eco Clean-cuts sport clean-cut edges. The Leather Everest Explorer, Expedition, and Nepali Traveler have the deckle edge. 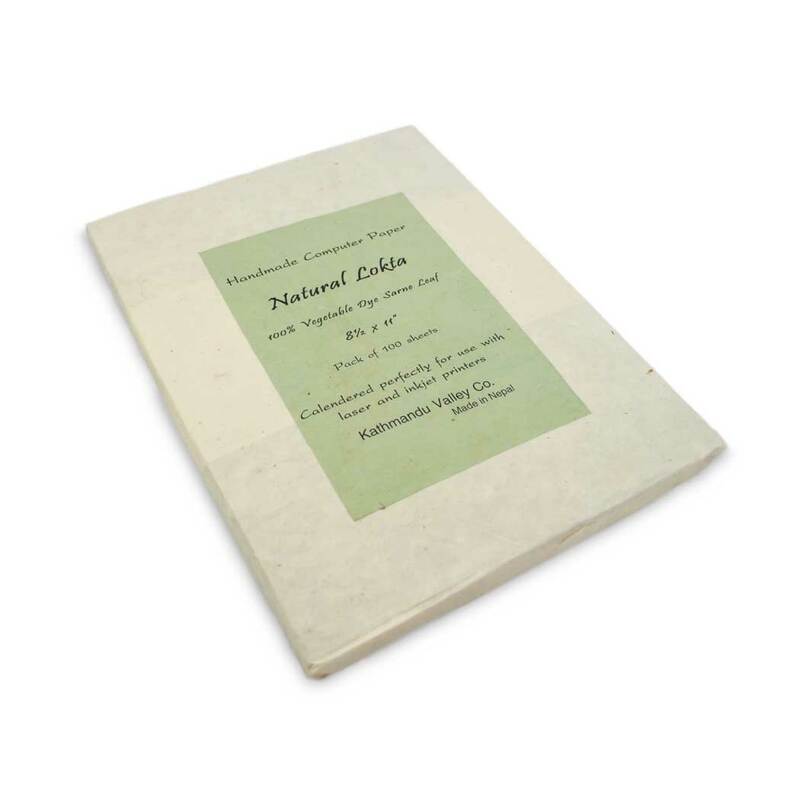 Not for journals, we also offer Lokta paper cut and calibrated to 8.5 x 11 inches for laser and inkjet printer paper as a natural and sustainable alternative to modern papers. The computer paper comes in the traditional natural color, but is also handy for crafts, origami or scrapbooking projects with our vegetable and natural dyes producing saffron-dyed lokta printer paper from natural saffron..
View our list here of complete colored lokta printer & craft paper. Each sheet of lokta paper has a smooth side and a rougher, more naturally formed side called the sun-kissed side. This is due to the paper forming on the boxed screens. One side of the paper forms against the screen used to hold the fiber pulp. Upon close inspection you can often see the fine pattern from the screen. The other side, the sun-kissed side forms naturally as the fibers settle, creating the natural texture that gives lokta paper its unique feel. 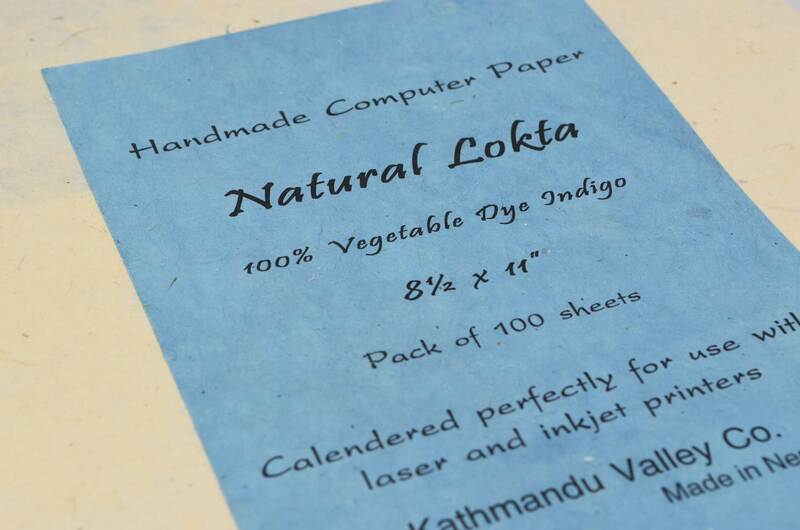 Used by writers, artists, sketchers, journalers for creative projects or for official records, Lokta paper is a proud tradition unique to Nepal. 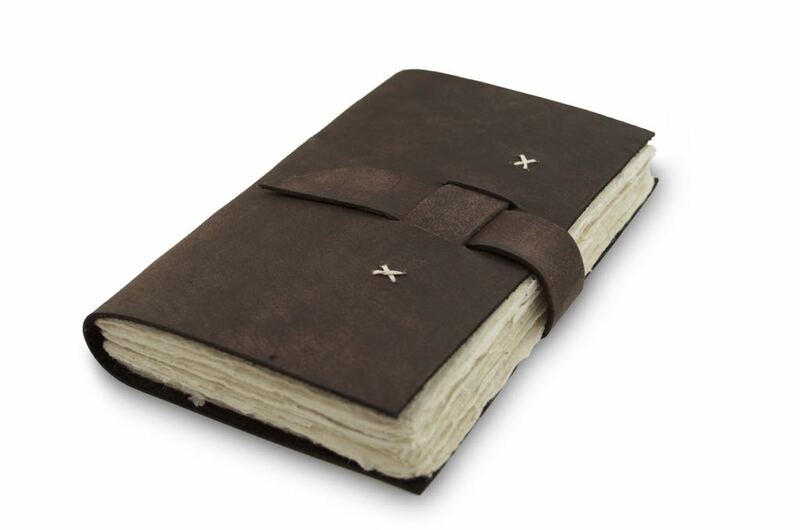 Take your journal with you on your travels whether it be to Everest, the Antarctic, and everywhere in-between, or keep it safe at home as a keepsake and record of your daily adventures. 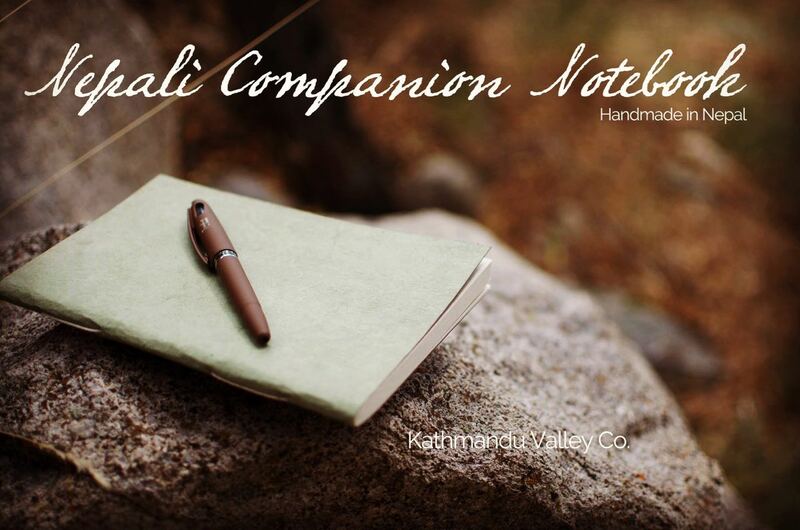 Kathmandu Valley Co. journals carry a rich tradition we know you’ll love and enjoy. Below is a sampling of some of our popular creations. Water Buffalo Leather with four sizes to choose from. Water Buffalo Leather vegetable-dyed, and also introducing the new Nature’s Wool Edition. With the choice of standard or our new Epic, 2x thick Lokta paper. Standard 8.5x11″ paper made for inkjet and laser printers. Offers many colors to choose from made with natural dye coloring. 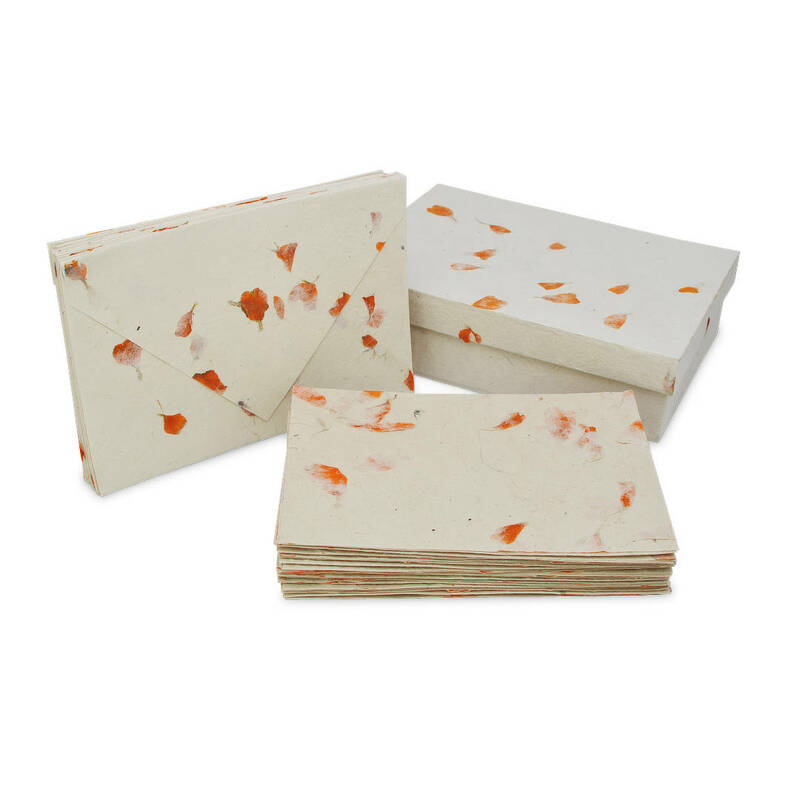 15 Greeting Cards & Envelopes stylized with real flower petals from Nepal.